Fifth anniversary in the USA! A year after Studio 5 celebrated its 25th anniversary we are celebrating 5 years here in the USA with the great team we have assembled. 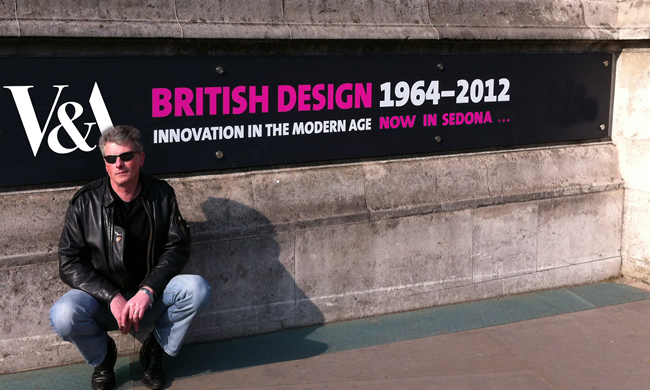 This shot was taken days before I left the UK while bidding farewell to London clients who are still with us today. Websites, TV, print and more! The new year started with a variety of web projects going live as well as several TV shoots, print campaigns and more! 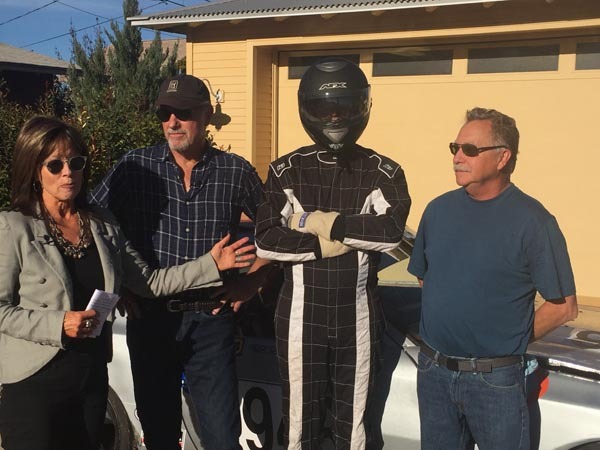 Sandy Moss from AZTV came to town to film TV segments for our race team and our event app amuzigo as well as our client Hillside Sedona. There was more filming with Sedona Now TV and Hillside Sedona for a superb commercial, devised and scripted by our own Smart Gal. 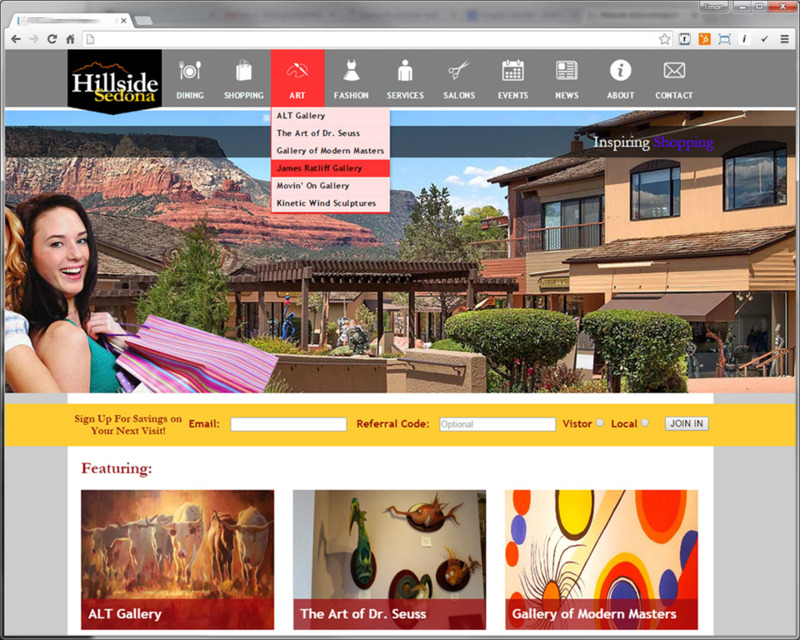 Work was completed on the new website for Hillside Sedona, with a full smartphone friendly version being critical for this client above all others, to give easy access to the website for tourists and visitors to the area. 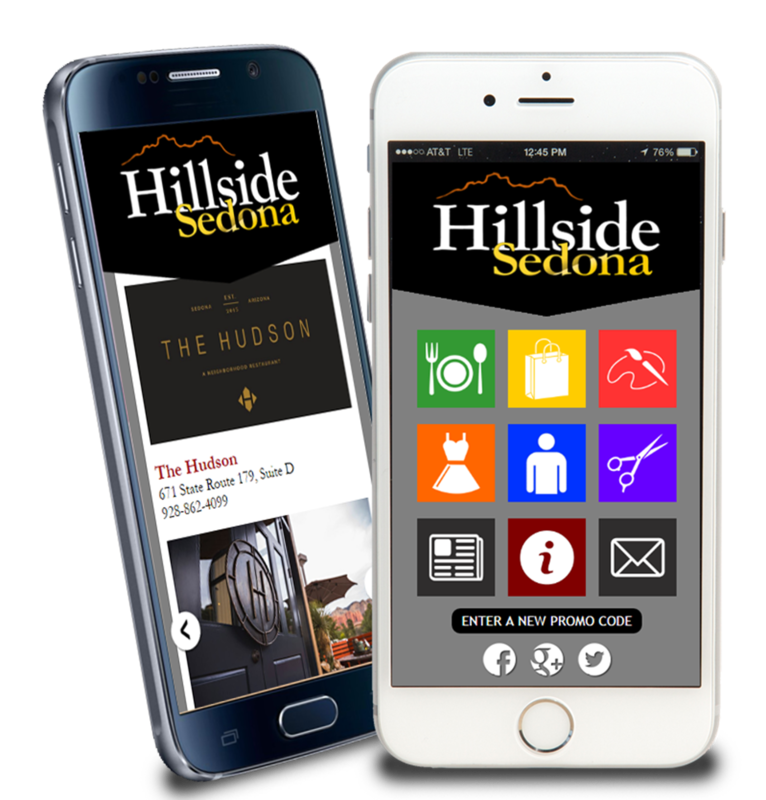 The overall branding was carried through from the street signage for the various types of shopping and dining available at Hillside which worked perfectly on the mobile version almost providing a key pad home screen. In addition to filming the with Sandy Moss from AZTV we spent an enjoyable day producing a local TV commercial on Sedona Now which was a great success with a refreshingly different approach. The script tells a romantic sequence weaving in the variety of galleries, stores and restaurants at the Hillside location. 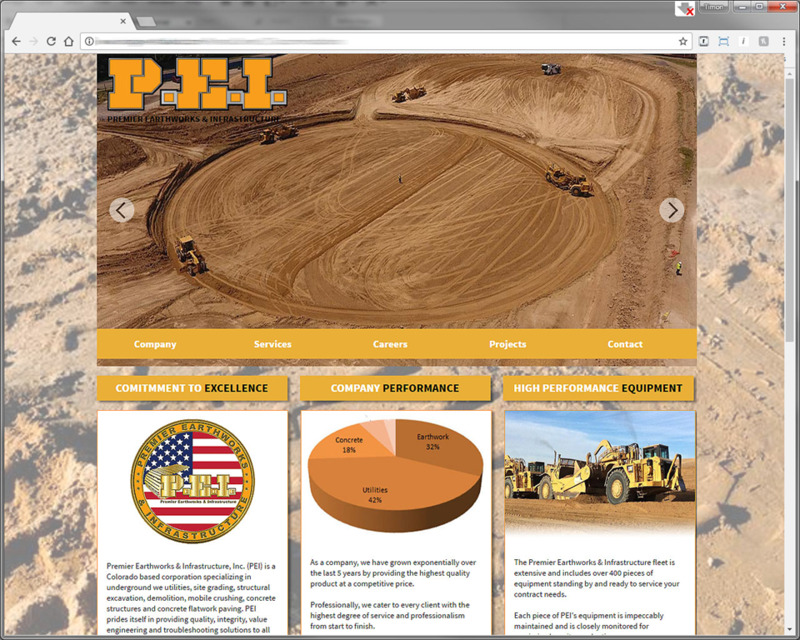 The website includes our custom CMS (content management system) to allow the client to update the project portfolio and other pages within the site. 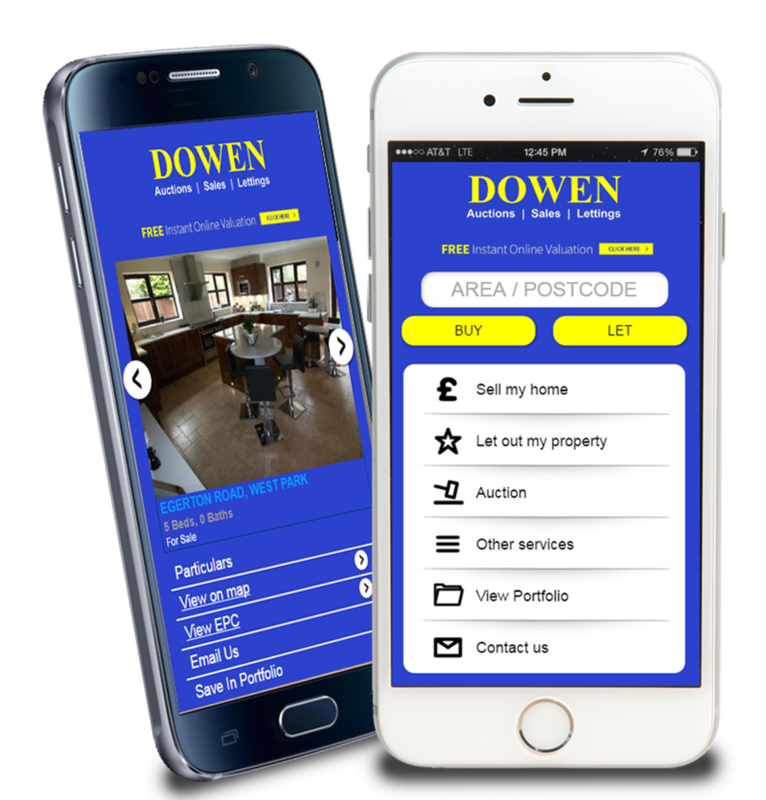 We recently added a smartphone friendly version to the existing site for long term UK client, Dowen Estate Agents. The website includes a specialized real estate CMS (content management system) with related functions and capabilities, CRM applications and location mapping systems all integrated with their internal property database system with a regular scheduled data sync. The system incorporates both property sales and property rentals as the agency deals with both sides of real estate. Having worked with the marketing manager on projects before, we agreed to maintain the WordPress website for Rainbow Acres. 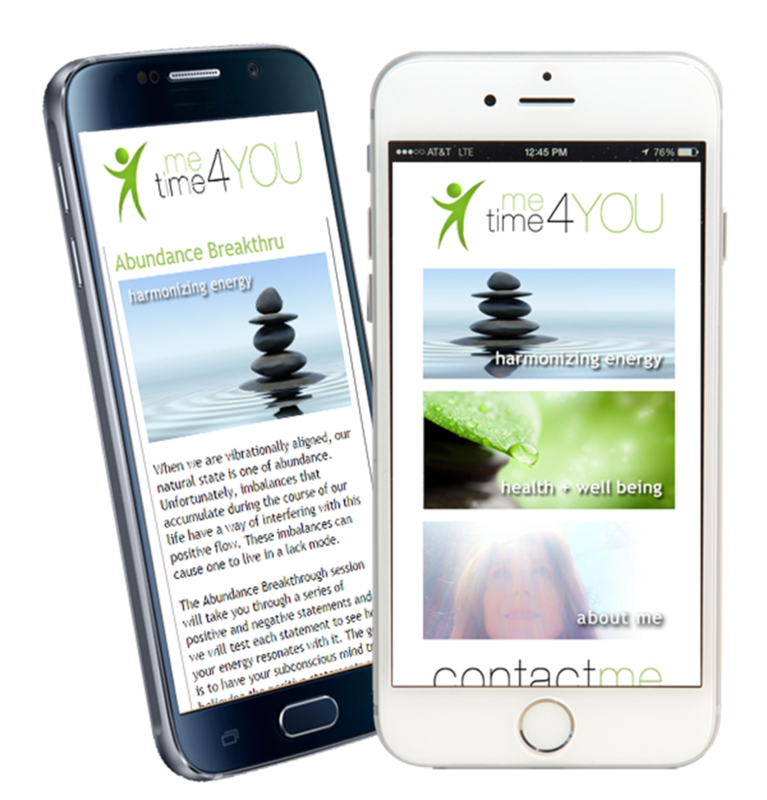 After several months of costly updates and impending system updates which threatened the stability of the entire website we met with the board and the decision was made to cement relations further and develop a custom website for the client. 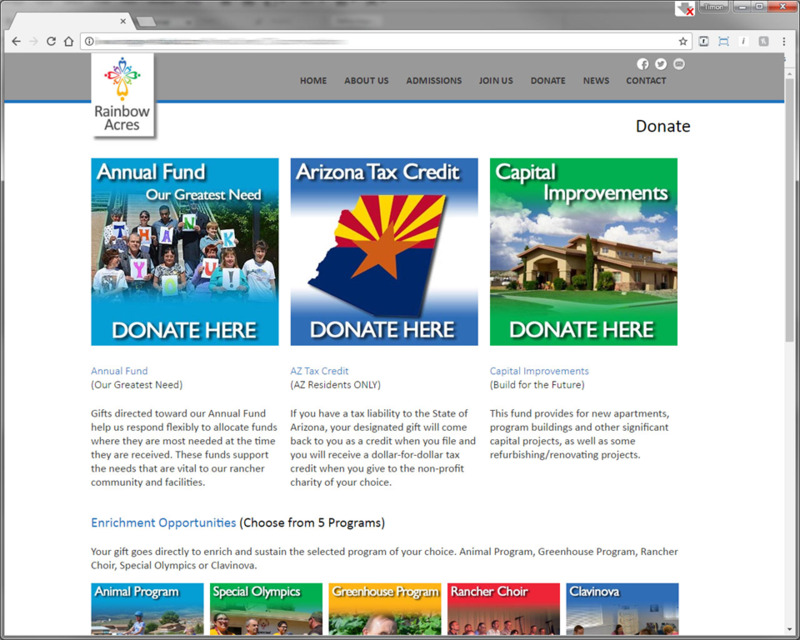 The website uses our own content management system (CMS) and includes some new features for this client as well as a mobile friendly version, integration with a donation management system and event management. The Thailand Alternative Studies & Retreat Center project continues to evolve with the e-commerce store coming online as well as a complex booking system and E-POS for the variety of packages, courses, workshops and accommodations the center is offering. The E-POS system is an exciting development and addition to our CMS and we already have interest from a UK client in operating their online and high street store from the same integrated system.